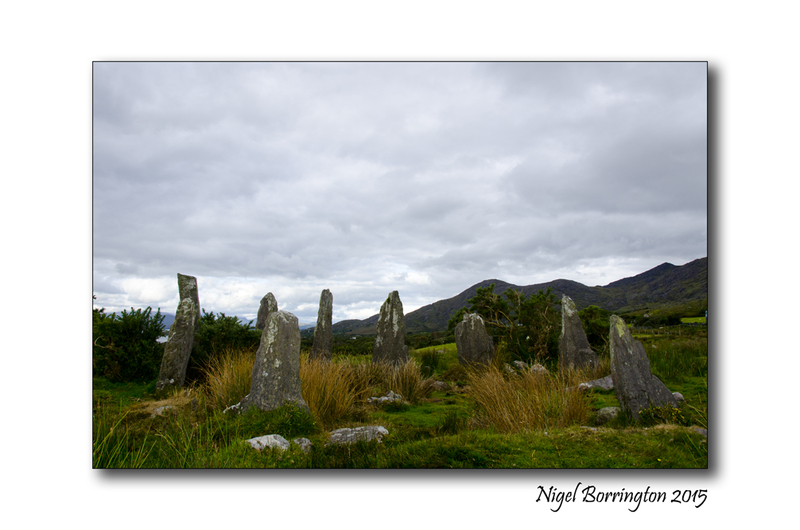 Ardgroom (Irish: Dhá Dhroim, meaning “two drumlins”) is a village on the Beara peninsula in County Cork, Ireland. Its name refers to two gravelly hills deposited by a glacier, Dromárd and Drombeg. It lies to the north north west of Glenbeg Lough, overlooking the Kenmare River estuary. It sits between the coast and the Slieve Miskish Mountains. 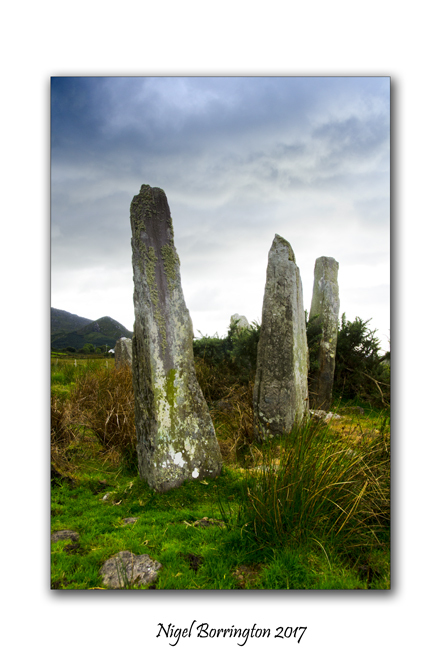 The area is also home to a number of megalithic monuments. Signposted is the Ardgroom stone circle to be found to the east of the village at a distance of about 1 mile, off the old Kenmare road. 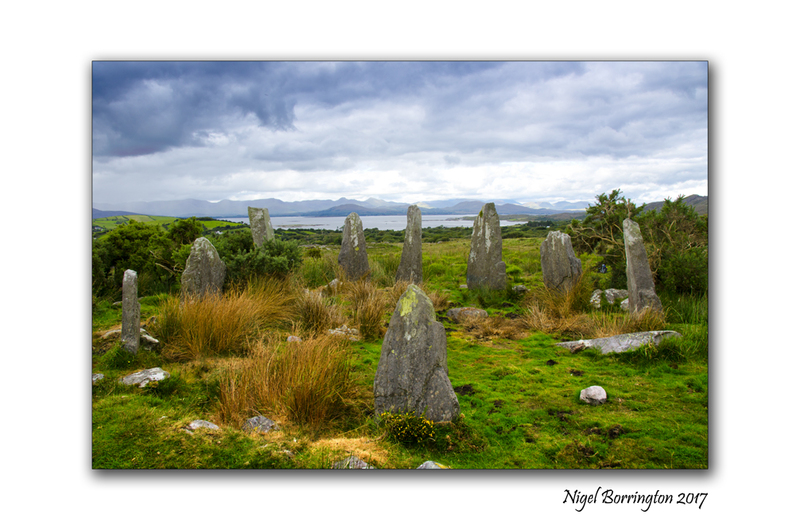 It has the name “Canfea” but is normally called the “Ardgroom” stone circle. About 1 mile north east lie the remains of another stone circle. The Canfea circle consists of 11 stones, 9 of which are still upright with one alignment stone outside the circle. 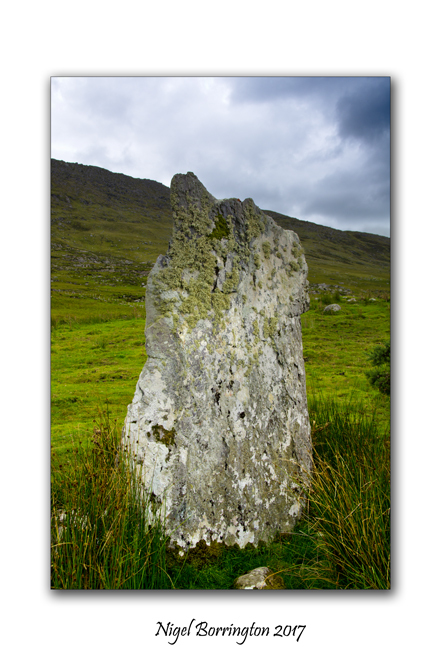 Unusually for a stone circle, its stones tend to taper toward points. You can park a car about 1/2km away in a small wooded area with the walk to the circle only being some five minutes. The location is wonderful with a view of the mountains behind and the west Cork, coast-line on to the front of the circle. 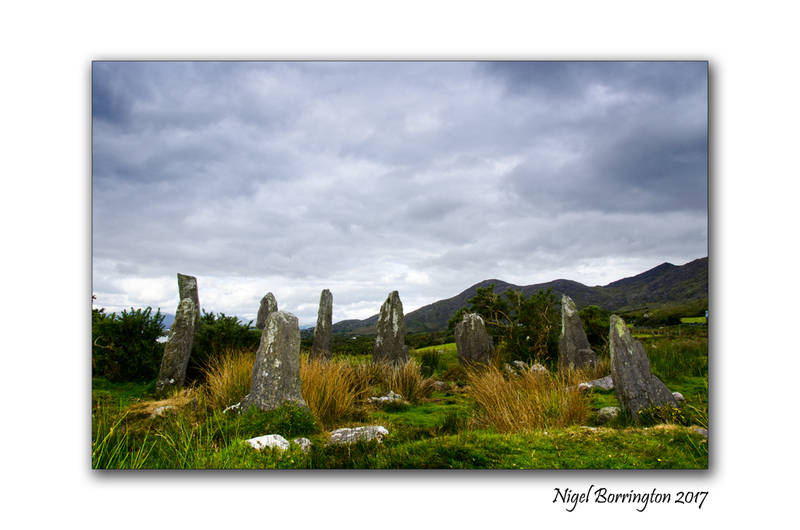 Just to spend sometime here is amazing as the circle is in very good condition with most of the stones still standing. This must have been some place three thousand years ago, remote, cut off from the rest of the world. These circles were most likely use to help small farming communities tell the time of the year, the passing of the seasons for which they used the moon as well as the sun. 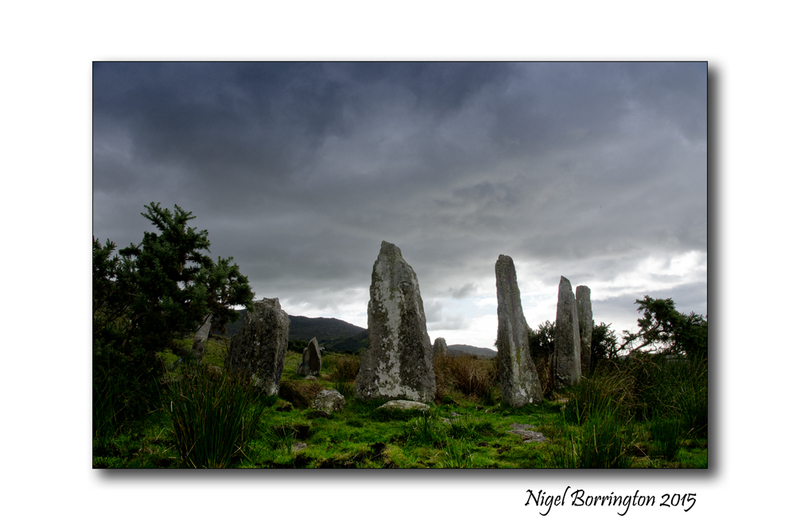 Also in the vicinity are the remains of at least 2 ring forts, as well as a number of standing stones and stone rows.